Advanced and easy to use accounting modules saves you time in managing your finances. More accounting features are listed here. Innovate Inventory management gives you comprehensive, update to date details of your stock. More inventory features are listed here. Tap to record sales and activity slips, enter expenses and contacts, and sync it all with your desktop version of Account Edge. Click on http://intl.accountedge.com/mobile/ for information. Note: Hardware and software requirements will vary depending on your operating system. Internet access required for accessing program updates, programme registration and deregistration. 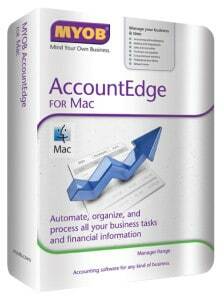 International AccountEdge Pro and Network Edition v12 have been tested on the new Mac OS X 10.9 (Mavericks) operating system and are compatible. International AccountEdge Pro and Network Edition v12 are now our official 10.9 supported versions. International AccountEdge products older than v12 will not be officially supported or updated for 10.9. If you are planning to upgrade to 10.9, we suggest you upgrade to the latest version of AccountEdge and, of course, back up your company files.